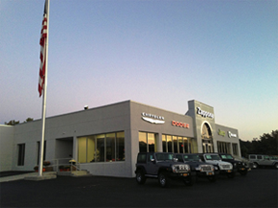 Zappone Motors operates Chrysler Jeep Dodge RAM dealerships in Clifton Park and Granville, NY. At Zappone Motors We Simply Sell For Less. Stop in today! At Zappone Motors, we believe that buying a vehicle should be more than just a purchase, it should be an experience. And customers agree, which is why people from all over Clifton Park, Granville, Latham, Albany, and Glens Falls, NY have been choosing us for their automotive needs. 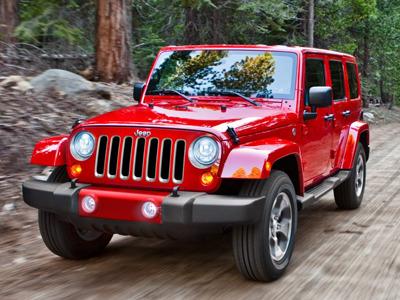 With over 500 vehicles in our new inventory, we have the perfect Chrysler, Jeep, Dodge, or RAM for everyone, at a price you'll love and the customer service you deserve. If a new vehicle isn't the best choice for you right now, we have a wide selection of pre-owned vehicles to choose from as well. We strive to make the car buying process easier, more enjoyable, and more affordable. That's why when you visit our two dealership locations, you'll work with friendly, experienced staff members who have one goal: to make you happy. Located conveniently on 1780 State Route 9 in Clifton Park, NY 12065, Zappone Chrysler Jeep Dodge Ram in Clifton Park is your premiere destination for sales, service, and satisfaction. Here, you can explore our new inventory, used inventory, and Certified Pre-Owned inventory and talk with a qualified, knowledgeable salesperson that will help you make the best decision. 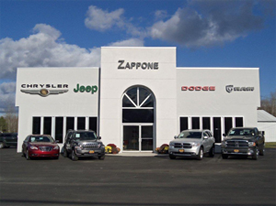 Zappone Chrysler Jeep Dodge in Granville is located at 8556 State Route 22 in Granville, NY 12832 for customers who want a vast selection and unmatched customer service. We want to supply you with the vehicles you crave at simply lower prices. Take a look through our new and used inventory before stopping in for a test drive. If you live near Clifton Park, Granville, Latham, Albany, and Glens Falls, NY and want a new kind of car buying experience, we look forward to helping you at Zappone Motors. Our experienced staff wants to put the car-buying process back in your hands and get you behind the wheel of a new Chrysler, Jeep, Dodge, RAM, or used vehicle.